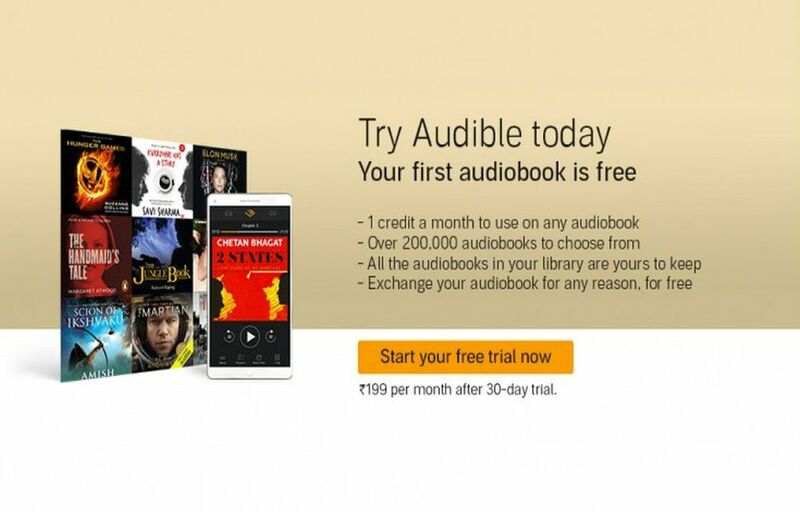 Audible, the world’s largest seller and producer of downloadable audiobooks and other spoken-word content, today announced the launch of Audible.in, a dedicated service for Indians. Audible.in offers a broad selection of more than 200,000 full-length audiobooks and original programs, including a curated selection of 400 Audible-exclusive titles by leading Indian authors. To celebrate the launch, Audible is releasing a new recording of S. Hussain Zaidi and Jane Borges’s best-selling Mafia Queens of Mumbai, performed by Rajkummar Rao, Radhika Apte, and Kalki Koechlin, in addition to offering a hand-picked “welcome pack” of premium listening experiences. “Honoring India’s distinctive literary and storytelling tradition and supporting the creation of vibrant local content, Audible.in is a dedicated, authentic and dynamic destination for Indian consumers that puts Indian talent and spoken-word content front and center,” said Audible founder and CEO Don Katz. “As an actor, Audible gives me the powerful opportunity to entertain and inspire listeners whether they are commuting to work, traveling or even relaxing at home. There’s never been a better time than this to lose yourself in a world ruled by women, to see our city through their lens. We look forward to transporting you to the unforgettable world of the Mafia Queens of Mumbai, only on Audible!” said Kalki Koechlin. The host of the launch event and one of the country’s most respected critics, Anupama Chopra, led a panel discussion with Rao, Apte, and Koechlin as they spoke about their performance and the craft of narration. Joining them on the panel was author Durjoy Datta, who spoke about the creative opportunities of audio entertainment. Datta announced his latest work, his first-ever audio romance, The Last Boy to Fall in Love, is an Audible Original now available to download. Indians can now join millions of customers worldwide who use the Audible service to enjoy gripping, immersive storytelling, reportage and entertainment by gifted writers and performers. Audible offers busy book lovers the gift of “found time,” allowing them transporting, stimulating experiences while commuting, doing chores, exercising, or relaxing at home. Favorite works by authors from around the world, including J.K. Rowling’s Harry Potter series; best-sellers by Dan Brown, Yuval Noah Harrari and Agatha Christie; Robin Sharma and Dale Carnegie’s books on self-development; and classics like Pride and Prejudice, Sherlock Holmes, Siddhartha, and The Prophet. Members will also discover the Audible “welcome pack,” featuring an array of premium long- and short-form titles and excerpts including Business Sutra by Devdutt Pattanaik; An Era of Darkness by Shashi Tharoor; A Scandal in Bohemia, a Sherlock Holmes story by Arthur Conan Doyle; Rusty Plays Holi by Ruskin Bond; Harvard Business Review articles on leadership and mindfulness from renowned experts; the internationally acclaimed audio show, The Butterfly Effect from Jon Ronson; Nameless Relationship by Preeti Shenoy; and Ravana’s Sister by Anand Neelakantan. Indian customers can access Audible’s library of global content and membership benefits by signing up for a complimentary 30-day trial, which entitles them to any Audible book of their choice. Amazon Prime members can access a special 90-day trial, including three free audiobooks, at Amazon.in/audible.in. Members receive 1 credit a month, which can be used to redeem any title (1 credit =1 audiobook) from the library of over 200,000 available titles. Audible members also receive a 30% discount from non-member prices on additional audiobooks purchased, as well as access to exclusive sales and content. Audible also offers three prepaid plans: 1 month @ INR 299, 6 months @ INR 1345 (25% discount) and 12 months @ INR 2332 (35% discount). Non-members can purchase audiobooks a la carte.